Elegant small side table to match the Aston lounge furniture. 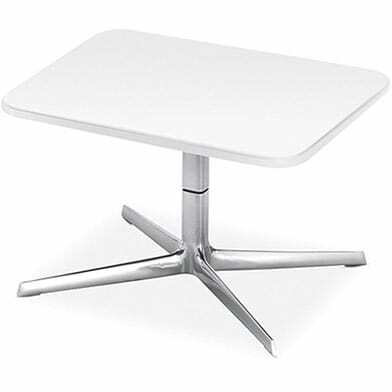 Low table with central swivel structure in aluminium. The top support component is available with shiny or lacquered finish. The square-shaped top is in shiny lacquered MDF (black or white). Do you have a question about "Aston 1903"? How can we contact you?